Social media is canvassing the nation, as nearly two-thirds of American adults use social networking sites, jumping nearly tenfold in the past 10 years, reports the Pew Research Center. 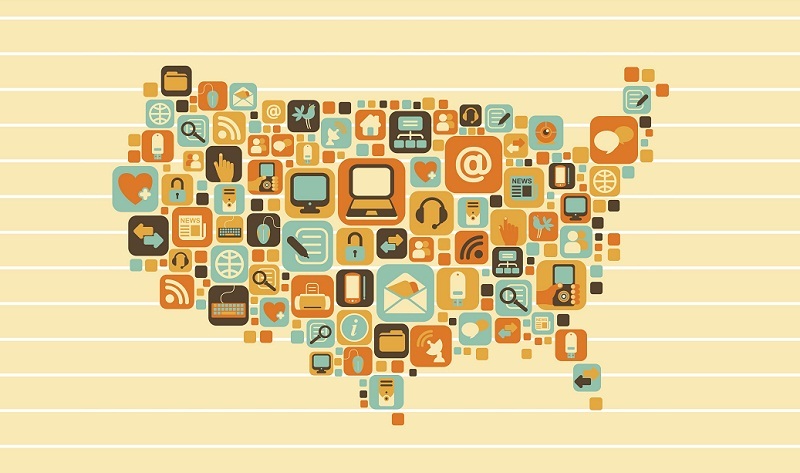 From reputation management to global marketing, several American cities stand out for their use of networks to spread breaking news, ignite fervor for technological trends and reach wide audiences with enterprise communications. Here are social media cues to take from three standout cities. Fostering transparency. Whether there's controversy swirling, or someone is requesting clarification on an issue, social media allows users to come clean to their followers and the pubic about where they stand. Connecting with current supporters and attracting new advocates. Social channels allow users to carefully craft personal branding messages. Spreading news. Anyone with a smartphone can become a roving journalist, as social networks are used to publicize reforms affecting the nation. Constantly innovating. The San Francisco area is home to the headquarters of Facebook and Pinterest, two of the most prominent social networks in the world. These sites continually evolve to better fit user feedback and needs. Using the latest tech tools. Home to tech giants like Hewlett-Packard and Tesla Motors, the San Francisco area is the birthplace to ingenious tech features that can be integrated into social media. Giving access to tech leaders. Close to Stanford University, some of the country's brightest tech minds resides in the San Francisco area, as Palo Alto is ranked No. 1 in the country of populations having the most Master's and doctorate degrees, City-Data.com reports. Tech influencers may become early adopters of networks, helping spread the word while giving valuable feedback for refinement. Granting intimate access to state government. The New York State government has its own social media policy that encourages residents to get in touch, as well as offers direct social media support via email. Prioritizing social media within marketing strategies. In 2013, Venture Beat reported New York is the top place in the country to offer social media positions. Social's marketing influence can be seen in prominent places like Times Square, where billboard and video advertisements feature social hashtags or social network links. Keeping public transportation users in the loop. A 2012 report funded by the Region II University Transportation Research Center at City College of New York found public transportation providers alleviate frustration of travelers by alerting them to issues regarding routing and construction delays through social media. By examining social media usage and developments on citywide scales, individual users and small businesses can use their techniques to improve their own personal and professional relations.